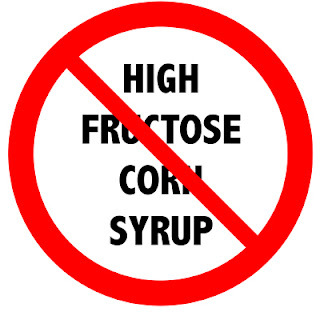 My investigation of High Fructose Corn Syrup (HFCS) began the day that I watched a video that totally ticked me off! It was a video of a father walking his daughter through a corn field while explaining that our bodies could not tell the difference between natural and high fructose corn syrup. He said that "Whether it's corn sugar or cane sugar, your body can't tell the difference. Sugar is sugar" and that fact made the actor feel better about what he feeds his make believe daughter (actress) in the commercial. This really struck a cord with me because this commercial was playing on my baby's TV channel AND right after the Occupy Monsanto / GMO Labeling "hype" started gaining more attention in the non-organic / non-natural markets. This was not my first time seeing one of these High Fructose Corn Syrup commercials, though this was the one that "hit home". It was obviously a mistake on The Corn Refiners Association (CRA) behalf because all of the original copies of that 2011 commercial were removed from the Internet except for the one on ABC News. I did not embed that ABC NEWS video in this blog because you have to sit through another commercial to see the original High Fructose Corn Syrup video. On the other hand, the Internet still has copies of the this less controversial 2010 commercial (this one with the woman in the red shirt) which is almost identical to the other. The difference with this version is that a woman explains the HFCS propaganda and does not have a child walking through the corn fields with her. Her family is waiting for her at the end of the video. This is supposed to give the family viewer a warm and fuzzy feeling about all of the high fructose corn syrup our children consume on a daily basis. The problem here is both ads say that after talking with "doctors, dietitians, nutritionists" have to say about HFCS, they feel comfortable that it is safe sugar for their bodies. There are hundreds of dietitians, nutritionists, scientists and doctors that do not agree with the high fructose corn syrup commercials and usage in our society. In fact, the July 2012 copy of First For Women magazine has an article titled, Heal your liver to fire up fat burn". This article gives a logical and scientifically backed explanations of how a high sugar / high refined starch diet is not good for the body: Dr. Mark Hyman, M.D, is quoted in the article stating: "High-fructose corn syrup [HFCS] basically starts a fat-production factory in the liver". In America, the bulk of our sugar intake is the high fructose corn syrup. The article goes on to summarize their conversation with him, "He explains that this man-made sugar (which abounds in refined, processed carbs such as baked goods, candy and soda) can contain 55 to 65 percent fructose, a type of sugar that goes straight from the blood stream to the liver, where it's quickly converted into liver fat. Research conducted at Princeton University reveals the consequences: Animals fed diets containing HFCS packed on 48% more weight than those that didn't eat the sweetener." By the way, to get the record straight, the women that dropped High Fructose Corn Syrup foods, lost phenomenal amounts of weight. One woman lost 1/4 her body size (132 pounds) in 16 months. This poor woman was top heavy and frumpy, but not the 500 pounds that we typically connect "OBESITY" to be. Another woman lost 72 lbs and so on. This same article explained that poor nutrient, sugar-rich foods, can increase fat in the liver by more than 60 percent in 6 weeks and this affects the body's insulin / blood-sugar balance; thus why people attribute HFCS foods to diabetes. Another interesting tidbit was that people in Italy that consumed low sugar / low refined starch diets were 49% less likely to have the same problem. One last quote from this article: "In an experiment conducted by the University of Sydney Australia that was published in the journal Archives of Internal Medicine, women who lowered the GI of their diets doubled their fat loss within 12 weeks." "High fructose corn syrup is made from corn, a natural grain product and is a natural sweetener. High fructose corn syrup contains no artificial or synthetic ingredients or color additives. It also meets the U.S. Food and Drug Administration’s requirements for use of the term “natural"." "Myth: High fructose corn syrup contains DNA from genetically modified corn. Reality: Nope. While the corn used to produce high fructose corn syrup may have been produced using genetically modified corn, existing research indicates that corn DNA cannot be detected in measurable amounts in high fructose corn syrup." There is not enough unbiased research done on High Fructose Corn Syrup and The American Medical Association says they want more research done. On the other hand, other authorities state that it is that we consume too much of both refined and high fructose corn syrup that we are an obese nation. This is the same Corn Refiners Association's that waited 2 years for the FDA to reject their requested name change from high fructose corn syrup to "corn sugar". The FDA refused the name change because they said the name "corn sugar" meant a solid, dried, crystallized food and not a syrup (http://finance.yahoo.com/news/fda-rejects-name-high-fructose-corn-syrup-232604735--finance.html). There are many that wish that the FDA would have rejected high fructose corn syrup in 1983 and 1996, as well as the genetically modified corn being fed to society after all of these years. If you think about it, the genetically modified corns create their own insecticides; planting in grown with generation upon generation of pesticide usage seeping into the soil (anyone who gardens knows that the soil is everything for how well the food grows and most would cringe at the thought of eating carrots, potatoes, beets, etc, grown in soil saturated with pesticides). It is all very creepy ... all the way to the HFCS that is made from this corn. "Still, it’s hard to think of HFCS as natural after its complex processing. There is also no organic HFCS available, because organic standards prohibit genetically-modified organisms (GMOs)." Experts have been researching and warning us against consuming high fructose corn syrup for years, but we really do not have much choice in the matter since most of the foods we eat contain high fructose corn syrup, soy lecithin and sodium (to name a few additives that are harmful to some). Many do not have the means to grow and live solely off home grown foods; others do not have access to farmers that can provided all that they need to have a nutritious diet, nor the money if they could. Below is a video from an expert that breaks down the inevitable consumption of High Fructose Corn Syrup if you eat foods from the grocery store. Since the majority of us do, it is virtually impossible not to consume high fructose corn syrup unless you are growing your own foods; eating an all natural / organic diet. Of course, this is very hard to do (I know from experience) because of years of bad conditioning in what is healthy to eat or not, the deficient availability and costs of organic foods. With the Corn Refiners Association commercials launched since the time that Connie Bennet made this video and the fact that the Corn Refiners Association tried to have the FDA change the name of HFCS to "corn sugar", one has to presume that the 52,000 or 2/3 of processed foods containing high fructose corn syrup are still being sold in stores today. The date the FDA approved high fructose corn syrup correlates to my life of eating unhealthy foods. My grandparents and parents did not know that the NEW jello, kid-friendly cereals, kraft macaroni & cheese, and all of the other new processed food products of the 80s, 90s, 2000s would contain so much high fructose corn syrup (GMOs, preservatives, etc) that would lead our nation to an embarrassing obesity level. This saddens me so much as I carefully choose the REAL "natural" and REAL "organic" food products for a family that fights me tooth and nail for frozen pizzas, Cookie Crisp, Oreos and extremely HIGH pesticide GMO corn and potatoes. They have been brainwashed by television commercials, fast food companies and the FDA. It is like my family thinks these obviously bad foods are good and I am all wrong for wanting them to eat organic foods instead of those processed and filled with high fructose corn syrup (sugar); I want us to eat from our own garden instead of buying McDonalds. Obesity is an epidemic in our country; especially with the rise in obesity in preschool age children and teens. This HFCS and our food changes are making them this way. IT IS NOT MY POSITION TO "rah rah" you towards natural / organic foods and non-HFCS diets, that is very difficult, though possible for certain individuals and as a society in due time. IS IT MY POSITION TO make you think about what you are eating and feeding your children; especially if you are obese (30 pounds over weight) or approaching it, or leading your children towards obesity without knowing it. This high fructose corn syrup information explains why some people are more PLUMP than others even if they are active, do not over eat and eat their corn. This is why taking Skinny Fiber alone is an aid to your weight loss. It will start the detox, metabolic and weight management process), but you need to learn how to make food changes, so that you do not start gaining weight again. Your 90 day challenge is also a time to educate yourself on which foods are better and how much is best, too. I suggest starting with reducing how many high fructose corn syrup foods that you put in your mouth; sugars and starches are not your friends!!! It is amazing that they will try to tell us that sugar, in any form is good for us or preferred. They probably work with the pharmaceutical companies that make drugs for diabetes! Unbelievable. Not to mention GMO!